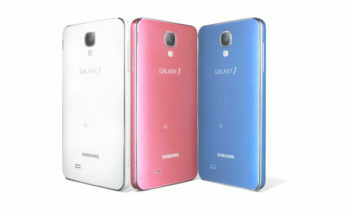 Will Samsung Galaxy J Make It to the US Market? “The smartphone revolution is under-hyped, more people have access to phones than access to running water. We’ve never had anything like this before since the beginning of the planet. On Monday, December 9th the Tech Giant Samsung has revealed a brand new model of Galaxy Range devices – Samsung Galaxy J. What is so cool about it? Basically it is a hybrid of two flagship devices from Samsung: Galaxy Note 3 and Galaxy S4. According to the company the new device will feature best things from these two handsets. The New device was released back in late October only for Japanese carrier NTT, as for now – it has reached Taiwanese market. The approximate price for the device is $720 USD. At this moment the brand new Galaxy J is launched in East Asia – many wonder if the company is planning on releasing this model in other countries. 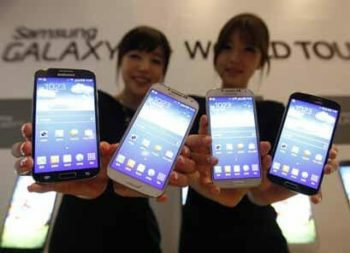 5.0-inch Super AMOLED full HD display with 1920x1080p resolution. Runs on the Android v4.3 Jelly Bean Operating system. Device feats with a processor from Qualcomm: Snapdragon 800 series quad-core processor with 2.3GHz CPU speed. As for the Graphics processing unit it runs on- Adreno 330 graphics engine Device has 3GB of RAM and 32GB of Flash storage, that is expandable to 64 GB. As for Camera it has 13.0 megapixel back camera and 2.1 – megapixel rear camera. The final expression about device is added up by LTE, Bluetooth v4.0, Wi-Fi, NFC connectivity, weighting only 146 g! Consider installing Android spy on the Galaxy J! Protect your newly purchased phone from being stolen. In case it does get stolen – track it down easily with the Android spy tracker feature, that uses both GPS sensor and triangulation method which is provided by LTE 4g connectivity of Galaxy J. Get a remote back up service such as topSpy for all of your photos and videos. If you need to record some important conversations or schedule some environmental recordings by using Galaxy J – you can do that in a split of a second and get pretty good recordings. Finally, Samsung Galaxy J is a good device for this money, however price could be bait lower. Consider getting the phone as a gift for your loved ones and protect them by secretly monitoring their cell phone activities!